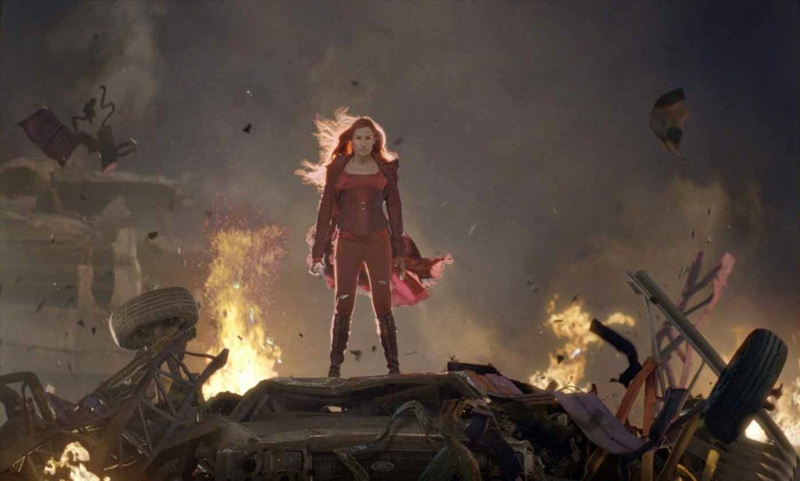 Opening X-Men: The Last Stand with a Terminator-style simulation, with clear nods to the previous films, (young Jean-Grey reveals ‘Level 5’ mutant ability) gives the impression we are in safe hands. But any hope is lost as favourite mutants are casually disposed of and new mutants (the hulking, dullard of a man in Juggernaut) are introduced. Rather than a fight between mutants or a fight against the mutants – a moral lesson regarding a ‘cure’ for the mutants is front and centre. Theoretically, a world-wide issue, it is limited to California. The spectacular backdrop of San Francisco becomes merely an opportunity to move CGI bridges and the climactic battle not only excludes key characters, but also erases the powers of others. Compared to X-Men the world is unrecognisable, and a return of Jean-Grey raises more questions than it answers. An awkward chapter in the series, with or without the future installments. We're into the final stretch of our MCU series - and it is the Oscar winner, Black Panther, at the forefront of our mind in this episode. Amon, Sabina and Simon delve deep into the significance, impact and impressive achievement that Black Panther is. Rewind and reboot, Simon, Sabina and Amon swoop into action as they discuss Spider-Man: Homecoming and tackle the Ghost Rider season of Agents of Shield, Season 4. How did they digest the friendly neighbourhood spider-man? And did they get fired up about the latest addition to the Shield team? The fourteenth episode goes into your mind and onto the moon with Doctor Strange and Inhumans. Sabina, Amon and Simon talk about a re-appreciation of Stephen Strange's origin story and then they get into the knotty issues of one-season wonder, Inhumans. Following the Sokovia-destroying Age of Ultron, we now shoot back down to size with Ant-Man - and of course, continue the Agents of Shield episodes with Series 3. Amon, Sabina and Simon argue it out as funny heists ain't quite the same as The Avengers going to to toe with AI destroying the planet. We're at the halfway point of our 20-episode series as we hit The Quicksilver Episode and the somewhat controversial The Avengers: Age of Ultron. Put it this way, one of us puts it second in our ranking while another puts it third from the bottom... eeeesh. The sequel to The First Avenger became an immediate hit and established The Russo Brothers as crucial members of the MCU. This episode, Simon, Sabina and Amon gush over Captain America: The Winter Soldier and continue their chronological viewing with the last few episodes of the first season of Agents of Shield. In our first episode, Simon, Sabina and Amon travel back in time to talk Captain America, Peggy Carter and the Red Skull. We talk of our appreciation of Cap and how it weaves into the MCU - with some solid love for Agent Peggy Carter of the SSR.